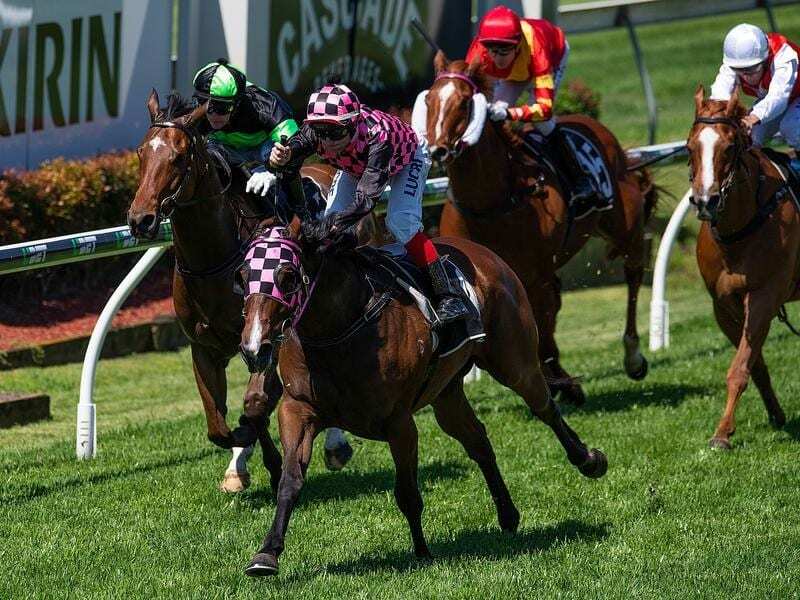 Femme Fireball’s ranking among Robert Heathcote’s team is poised to skyrocket after she produced a barnstorming first-up victory at Doomben. Heathcote made no secret of his admiration for Femme Fireball after she won the Westwood Workshop Handicap (1200m), running away by 1-1/4 lengths as the $3.20 favourite. “She could be the one to take over the mantle as the best horse in my stable. That’s the opinion I’ve got of her,” Heathcote said. “Things didn’t quite go her way last prep but I never lost faith in her and of course she was racing winter carnival horses. Heathcote had Femme Fireball ready to race at Doomben last week but those plans were put on hold when the meeting was abandoned following a deluge on race morning. “Full credit to (track manager) Jim Roberts and his team for presenting a wonderful surface today considering we needed an ark a week ago after all the rain,” he said. Heathcote has noticed significant physical development in Femme Fireball since her last campaign. “Even mentally she’s settled right down. I used to have a few tying up issues with her but we’re on top of those,” he said. Heathcote is confident Femme Fireball is a genuine contender for the Magic Millions Fillies and Mares at the Gold Coast in January. “She’s a Magic Millions mare if ever I’ve seen one,” he said. “We’ll get her qualified for that by winning a few Saturday races along the way and physically she’s really furnished into a nice horse. Winning jockey Dale Smith rode Femme Fireball patiently before bringing the mare with a well-timed finish to overhaul the leader Masterati ($4.80) inside the final 100m. “I knew they’d gone pretty quickly and I just needed to creep into the race at the 600 metres,” Smith said.